We’ve all seen sci-fi films which feature a bionic eye one way or another, but who knew it would actually be developed and is now giving blind people the gift of sight once again! Oxford’s John Radcliffe hospital has been undergoing trials for a new pioneering implant – an electronic, ‘bionic’ implant, which has been tested since 2012. The newest generation of the implant has been trailed on Rhian Lewis, 49 a mother of two from Cardiff and was the first time the implant has been trialled outside of Germany. Rhian lost her sight in her right eye 16 years ago due to a genetic condition called Retinitis Pigmentosa. This disorder destroys the light sensitive cells in the retina known as photoreceptors, whereas the implant acts as a replacement for these light sensitive cells. The newest generation of the implant is 3mm squared in size. It has approximately 1500 light sensors which send pulsed electrical signals to Rhian’s existing nerve cells. This is all connected to a tiny computer that is placed underneath the skin, behind the ear. This is all powered by a magnetic coil, which, from the outside, looks similarly to a hearing aid. The implant itself is implanted into the back of Rhian’s eye, in a very delicate, 8 hour operation. Once the eye has healed from surgery, the hard work begins. The implant is switched on, and initially all the patient can see is flashes of light. Overtime through rehabilitation, the brain will learn to interpret these flashes into shapes and recognisable objects. The rehabilitation is very hard work as the patient is trying to reactive a part of their brain which has been inactive for so long. Rehabilitation is essentially the patient learning to see again. The images seen by the patient will appear grainy. This is due to the chip on the implant, having 1600 pixels, which if you compare to the latest iPhone model, where the camera contains 8 million pixels, this is quite a small amount! The images also appear in black and white; however all of these things considered, for a blind person to then be able to gain sight and independence from this implant, it is truly remarkable technology! Rhians rehabilitation involved reading a cardboard clock. Although the images were not sharp, she was able to tell the time, for the first time in 16 years! She was then taken out by a chaperone from social services, to see if she could pick out any features. “I walked up the street, and the lady from social services said to me to point out anything I thought might or might not be there. “And the first thing I thought ‘there might be something there’, there was a car, a silver car, and i couldn’t believe it, because the signal was really strong, and that the sun shining on the silver car. 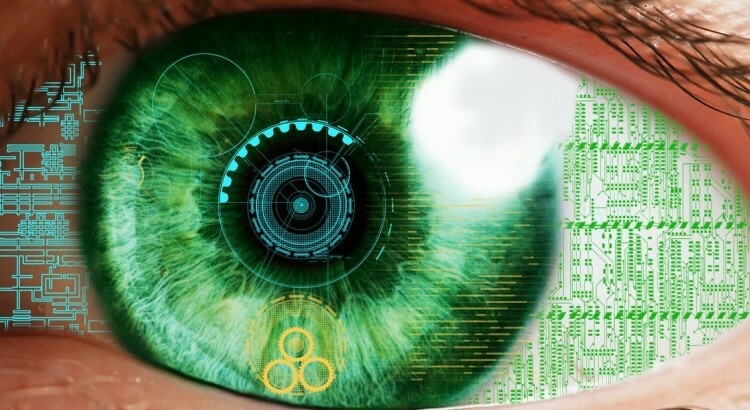 Who knows; one day with this technology, blindness may be a thing of the past and perhaps SelectSpecs may start selling our own bionic eyes in the future. Watch this space.